——Mix together, cover, and leave at room temperature for 12-24 hours. The good bacteria in the buttermilk will thicken the mixture and you will end up with a smooth creamy consistency. Or if you don’t have a few days, buy it from the store. I bought French trout caviar because it was affordable and sustainably farmed. I also just wanted to try something new. 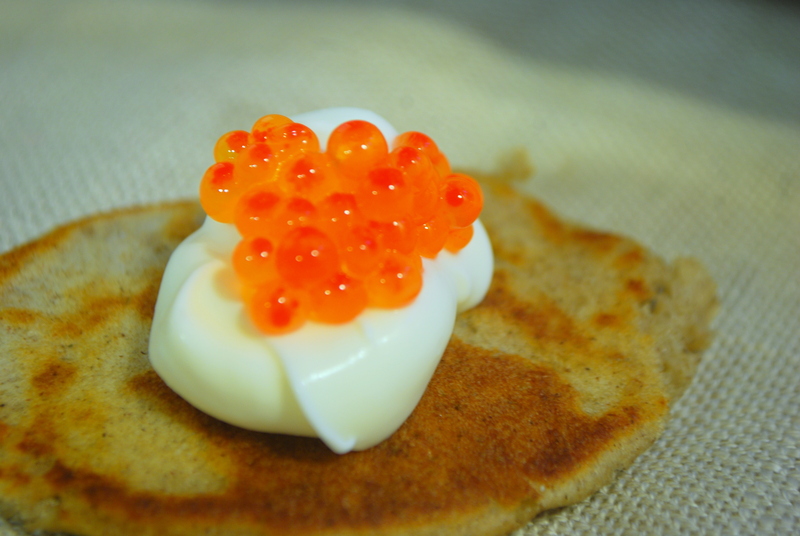 I chose a traditional Russian blini recipe because I happen to have buckwheat flour that I don’t really use for anything else. Original recipe by Barbara Rolek found here. Mix the flours, salt and yeast, then add the warm milk. You want your milk to be about 100F, if it is too hot, it will kill the yeast. Allow to rise until doubled, about 1 hour. Add the egg yolk and cooled melted butter. Whip the egg white until stiff, but not dry. Cover and let rest for 20 minutes. Heat a pan over medium heat, then add a small amount of butter to the pan. 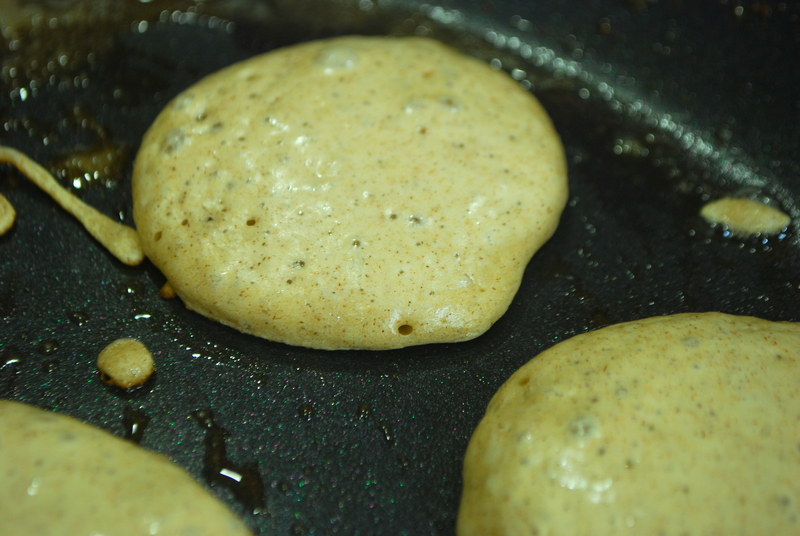 Add small spoonfuls of batter to the hot pan and cook for about 1 minute, or until small bubbles start to form. Flip each blini and continue to cook for another 30 seconds. 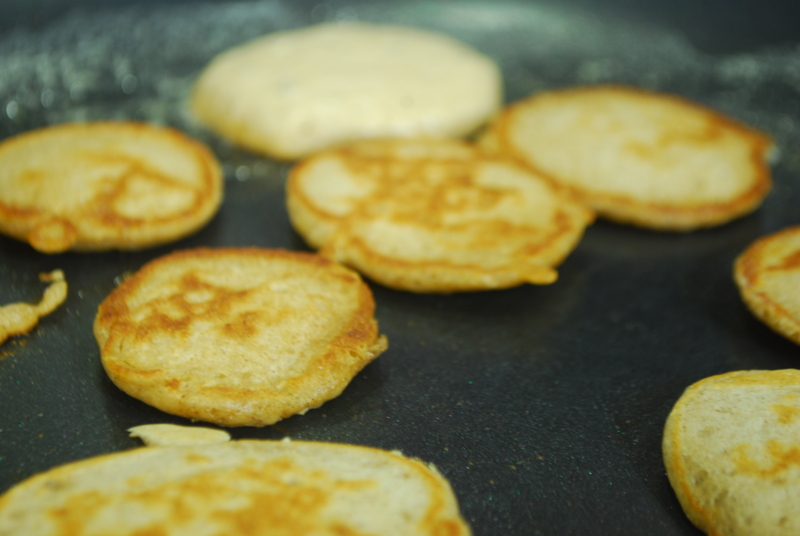 It’s ok if your blini aren’t all perfect circles or exactly the same size, it contributes to the rustic, homemade feel. 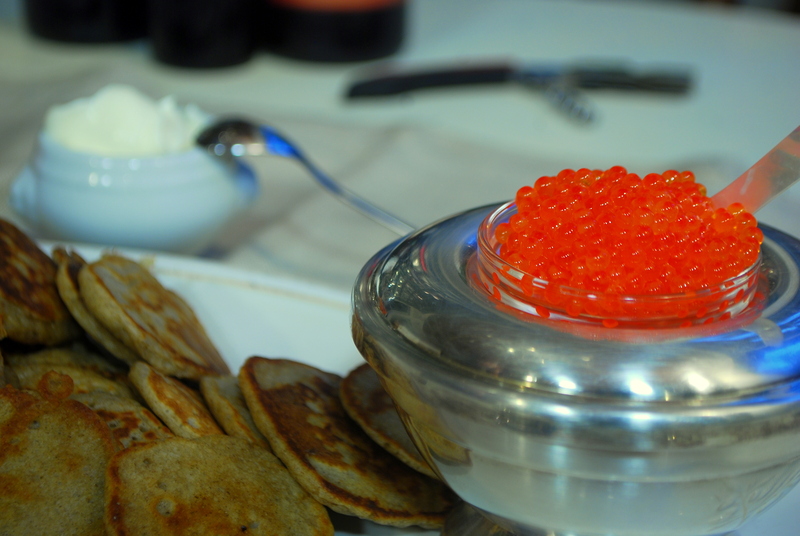 If you don’t have a caviar server, fill medium-small bowl with crushed ice and place smaller bowl of caviar on top. 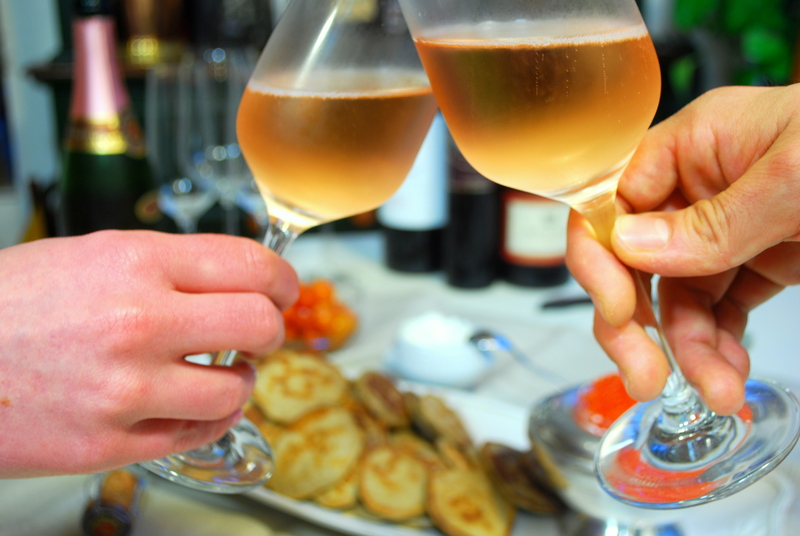 I like to pair this with a sparkling wine, but if you want to be super traditional, enjoy with vodka. Where are some places that I can find caviar. Is it only purchased online? Also, can you do toast points and caviar? If I am not willing to go throught the trouble of makinf blini. Thank you!